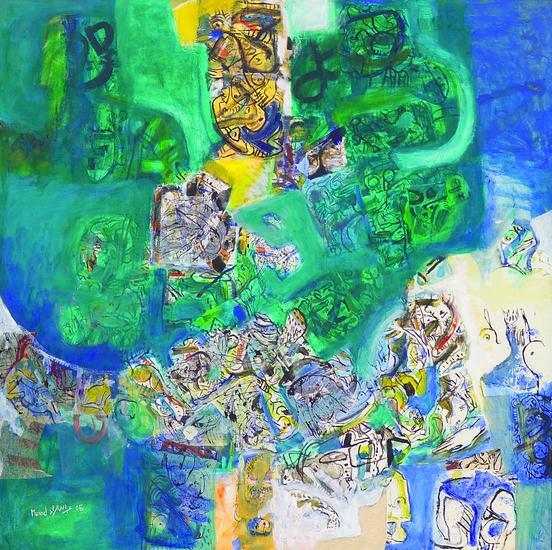 Born in Homs, Syria in 1944, Abdullah Mourad is one of the foremost Syrian abstract artists. He graduated from the Fine Arts Faculty of Damascus in 1970 and in the 1980's and 1990's he represented Syria at the Bienniales of Sharjah and Turkey. He now lives and works as a painter along with teaching art in Homs high schools. 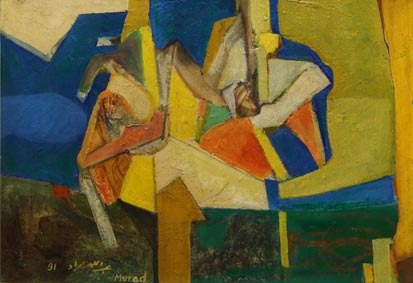 Mourad's work is found in the National Museum, and the ministry of culture in Damascus and in several Arab and European countries.